Their total bids run into 5.434bn hryvnyas. The three largest Ukrainian mobile operators on 6 March committed to pay 5.434bn hryvnyas (about 205m dollars) for 4G licenses in the 1800 MHz band. According to an Interfax-Ukraine correspondent, the bidders were President of Kyivstar Peter Chernyshov, Lifecell CEO Ismet Yazici and Vodafone-Ukraine Director for Corporate Governance Oleh Prozhyvalskyy. The auction was moderated by the chairman of the National Commission for Communications Regulation (NCCR), Oleksandr Zhyvotovskyy. Kyivstar offered the highest bid for the fourth lot after 24 increments with a price offer of 612m hryvnyas with the starting price being 271.625m hryvnyas. Vodafone-Ukraine won the fifth lot after 31 increments with a price offer of 742m hryvnyas with the starting price standing at 265m hryvnyas. The winner on the sixth lot after 43 increments was Kyivstar with a price offer of 900m hryvnyas with the starting price being 271.625m hryvnyas. In total, the operators are expected to pay 5.434bn hryvnyas to the budget. Earlier, Lifecell bought lot No 1 in the 15 MHz band for a fixed price of 795m hryvnyas. Kyivstar purchased lot No 2 of 25 MHz for 1.325bn hryvnyas. 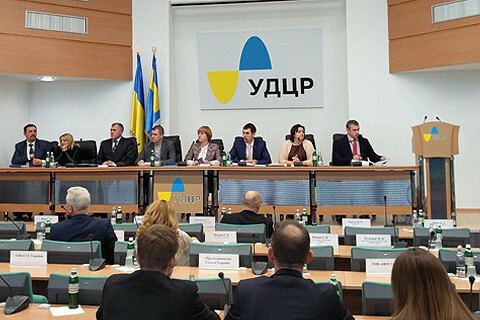 Vodafone-Ukraine bought lot No 3 of 20 MHz for 1.06bn hryvnyas.